Russian companies have traditionally been undervalued by the market, and share prices have fallen even more over the crisis in Ukraine and sanctions. Russian firms are typically estimated at 2.5 times less than their Brazilian counterparts, while shares in gas giant Gazprom, are traded at least 4.5 times lower than their potential value. One way to determine a “fair” price of a company is considered as being the ratio of its market capitalization (the value of all shares) to its annual profits (PE ratio) – this factor acts as an indicator of how much the company is undervalued by the market. This parameter is used by international investors to determine which companies may significantly grow in value in the future and bring profits. Thus, the securities included on the main Russian index, the MICEX, are being traded at an average of five times their annual profits. For comparison, in Turkey, this indicator is 9.4, in Poland – 12.5, while in Brazil it is 13.1. That is, Russian companies, on average, are valued at 2.5 times less than companies in Brazil. “The undervaluation of many Russian companies, primarily, is not so much due to the lack of growth prospects, or significant deterioration in the prospects for development, as is the case in many other markets,” says Timur Nigmatullin, analyst at Investkafe. “However, in Russia, investors are mostly concerned about the problems of corporate governance and inadequate protection provided for minority shareholders’ rights,” says Nigmatullin. At the same time, in some Russian companies, the ratio of market capitalization to profits may exceed that of their foreign counterparts several times over. According to estimates of the investment holding company Finam, the leader is the world’s largest producer of nickel – Norilsk Nickel. The capitalization of this company is 41.7 times greater than its annual profits – an absolute record for the Russian market. Meanwhile, the lowest indicators, oddly enough, are found mostly in the major oil and gas giants. According to estimates by Finam, the most undervalued Russian company is Transneft, which is engaged in the construction and operation of pipelines. The capitalization of the company is 126 billion rubles ($3.5 billion), which is only 0.8 of its annual profits. All ordinary shares are in the hands of the state, and the government is planning to sell only 3.1 percent of the state’s stake by 2016, though given the sanctions and the troubled geopolitical environment, this company’s privatization may easily be postponed for an indefinite period. However, it is Transneft on which the supplies of Russian oil to new markets depend – primarily to China and Japan, where Russia plans to find its future energy consumers. The second Russian company that is undervalued is the gas giant Gazprom, which provides 40 percent of gas deliveries to the European Union. This company is worth 2.999 trillion rubles ($83.7 billion), which is just 2.7 times its annual profits. At that, Gazprom shares are the most popular securities among foreigners investing in Russia. At present, investors taking a cautious approach when it comes to investing in Gazprom. Among other reasons, this is due to the unstable political situation in Ukraine, since the company carries out a substantial portion of its gas supplies to Europe through this country. As a result, since the beginning of the year, share prices in Gazprom have fallen by almost 10 percent, and since May 2008 – by almost 65 percent. For comparison, Gazprom’s only major competitor in Russia – the privately owned Novatek – has a ratio of market capitalization to annual profits is 12.4. That is, Gazprom shares can increase by at least 4.5 times. The honorable third place as the most undervalued private Russian oil company is held by Lukoil, in which the main block of shares is owned by the former Deputy Minister of Oil and Gas Industry of the USSR, Vagit Alekperov. The company’s capitalization currently stands at 1.6 trillion rubles ($44 billion), which is equal to three times annual profits. The company produces 16.3 percent of Russia’s oil, and always makes efforts to pay regular dividends. 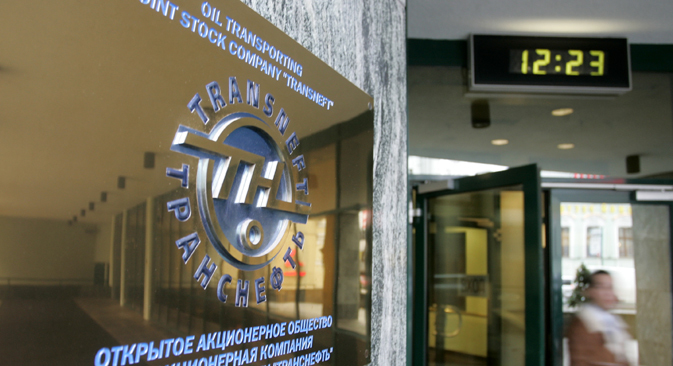 In fourth place is Surgutneftegas – the most closed Russian oil company. For a long time it was believed that among its supposed beneficiaries was Russian President Vladimir Putin, but these rumors were never confirmed. According to Finam, the company’s capitalization stands at 1.077 trillion rubles ($30 billion), but this is only 3.6 times its annual profits. For investors, this company may be of interest primarily due to the fact that it has absolutely no foreign assets, and therefore in case of any sanctions against Russian players, it will not suffer. Finally, rounding out the Top 5 list of the most undervalued companies, is the world’s largest public company, in terms of crude oil extraction – Rosneft, owned by the Russian government. The company is now worth only 2.4 trillion rubles ($66.87 billion), that is, it is being traded at 4.3 times its annual profits. Rosneft has been hit hard due to the sanctions imposed by the U.S. government – its president, former Deputy Prime Minister Igor Sechin, has been placed on the “blacklist” of individuals facing asset freezes and travel bans by the United States. However, as Finam notes, once the sanctions issue disappears and investors return to the Russian market, then in all probability it is Rosneft to which they will turn their attention. The key to the company’s prosperity is considered the huge influence of Igor Sechin, who is considered a close ally of Vladimir Putin. Moreover, Rosneft has a strategic investor – the British company BP, which owns 19.75 percent of the shares of Rosneft. The British giant is vitally interested in having nothing hinder the access of Russian oil to the world market.